Our technology experts take forward the query and develop a quick understanding of the domain and schedule a briefing session with the client for gathering client requirements. 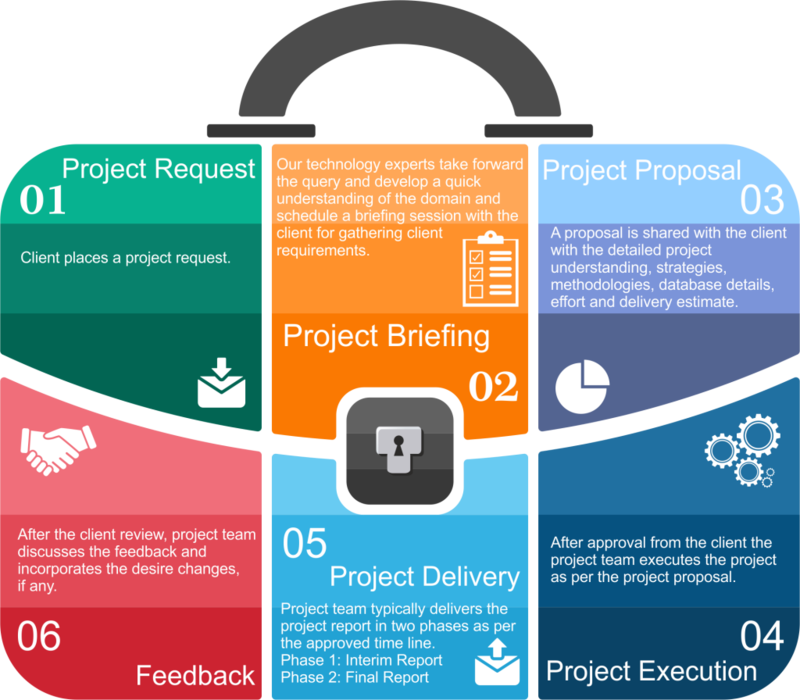 A proposal is shared with the client with the detailed project understanding, strategies, methodologies, database details, effort and delivery estimate. After approval from the client the project team executes the project as per the project proposal. Project team typically delivers the project report in two phases as per the approved timeline. After the client review, project team discusses the feedback and incorporates the desire changes, if any.